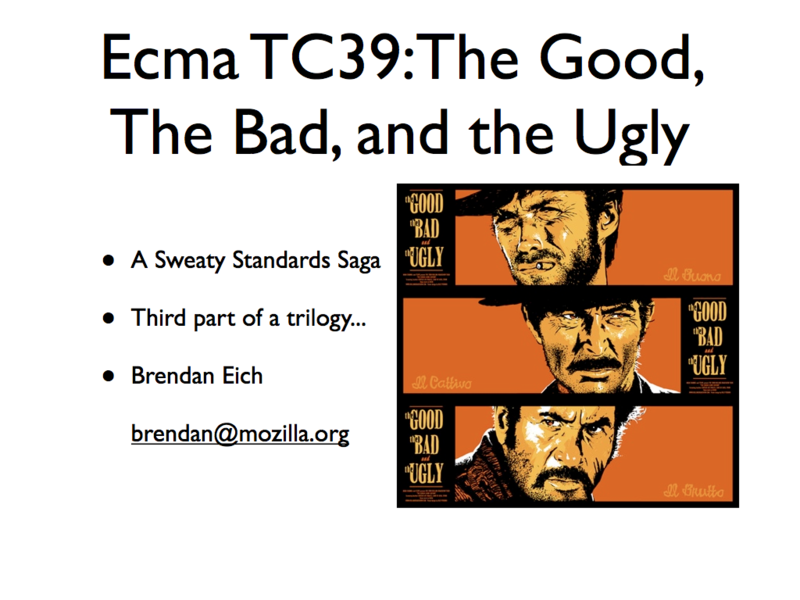 TXJS 2011 A6 – Brendan Eich – Ecma TC39: The Good, The Bad, and The Ugly. 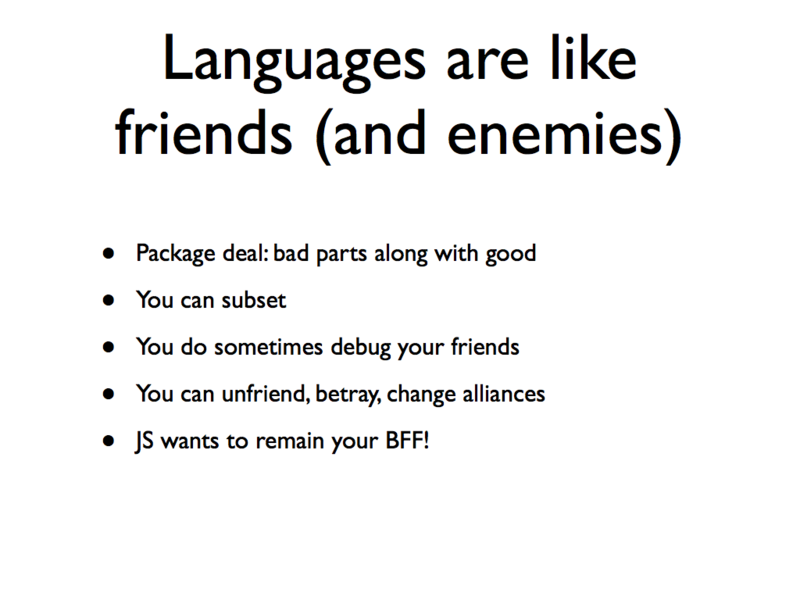 I spoke at TXJS, a really excellent regional JS conference, in June. Thanks to @SlexAxton, rmurphey, and everyone else involved. 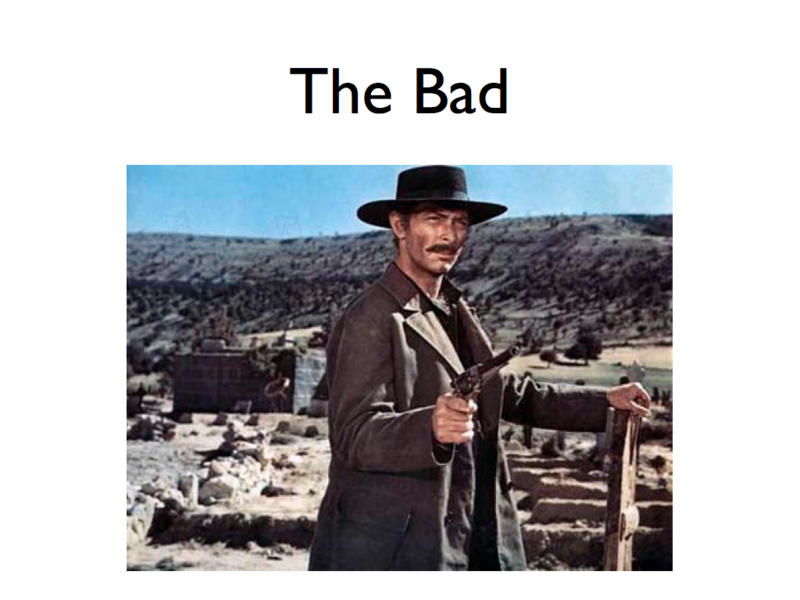 My talk was concerned with the good, bad, and ugly of Ecma TC39 (and I mean those words in the best possible way! 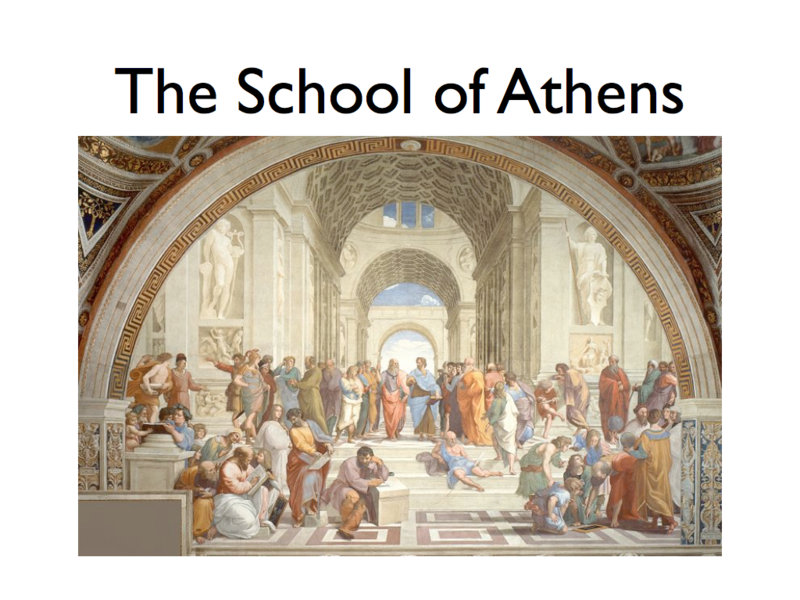 ), mixing philosophy with historical events from the last 14 years. 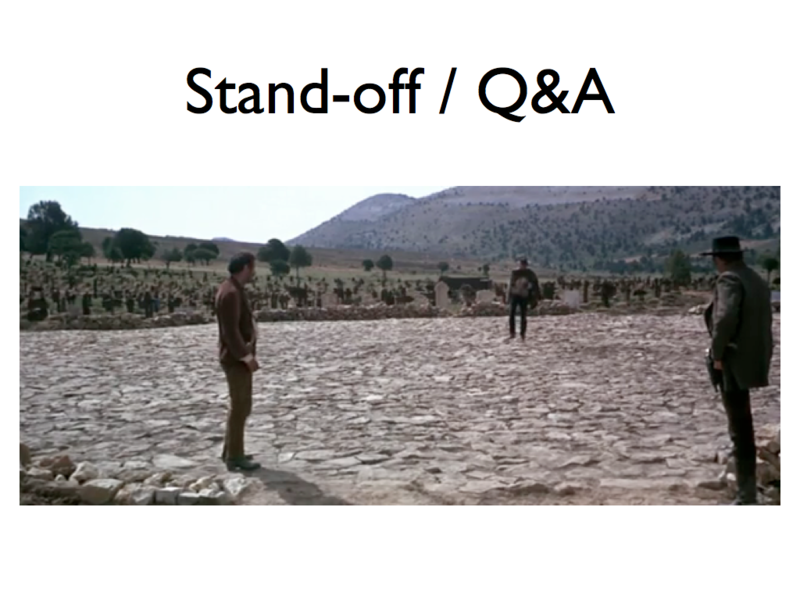 After describing the standards process and its history in Ecma, I presented the good stuff that’s going into ES6 (I gave a remixed version of this part of the talk at an SFTechTalk hosted by Twitter last month — thanks to @valueof and @chanian for hosting). 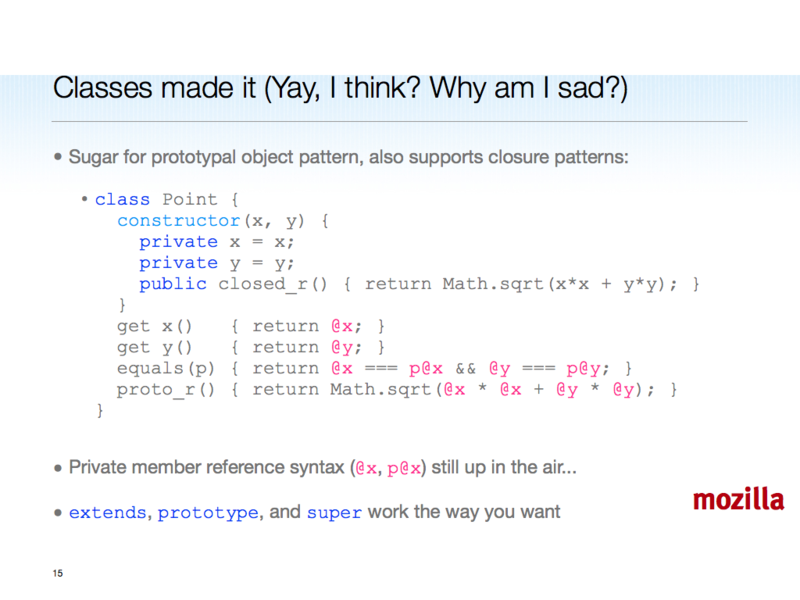 As a bonus, I closed with a paren-free update, whose punchline slide is included at the bottom. We don’t smoke, but the rest is pretty much right. Here I praised Jan van den Beld, former S-G, Ecma — a raconteur and polymath, for his stewardship of Ecma. 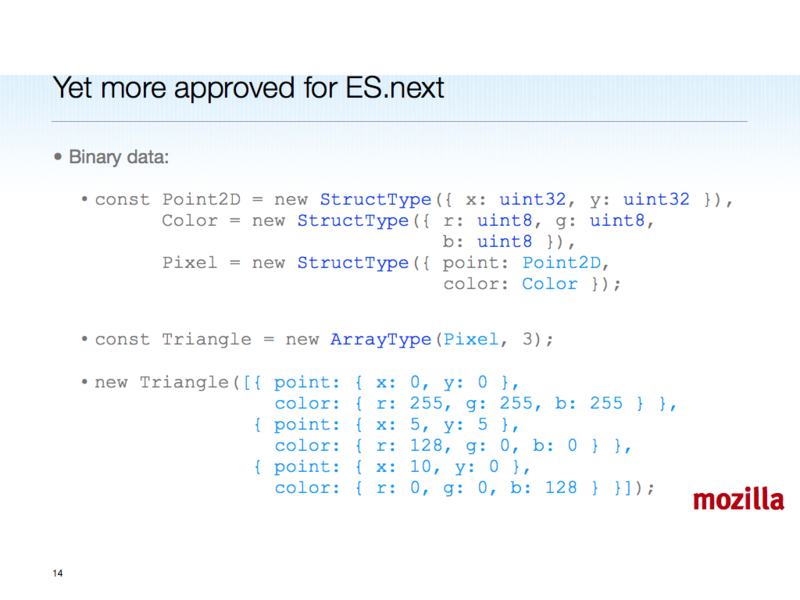 Yes, Netscape picked ECMA (now Ecma, pay attention ;-)) as standards body to which to submit JS mainly to give Microsoft grief, since ECMA had bravely standardized some part of the Windows API. But Jan and the entire TC39 TG1 group played fair on ES1, the first ECMA-262 Edition. 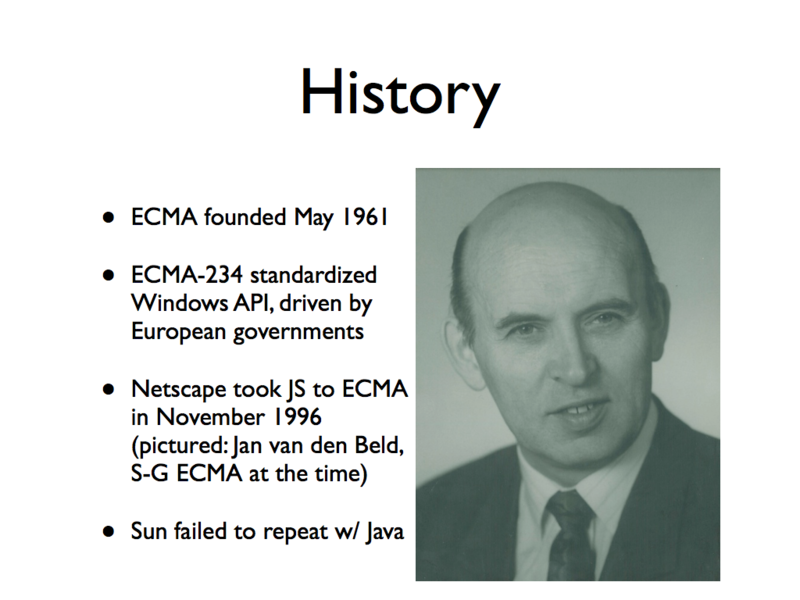 Microsoft was so happy they standardized early C# and CLI metadata specs at Ecma. Not Bruce Campbell, so not me. 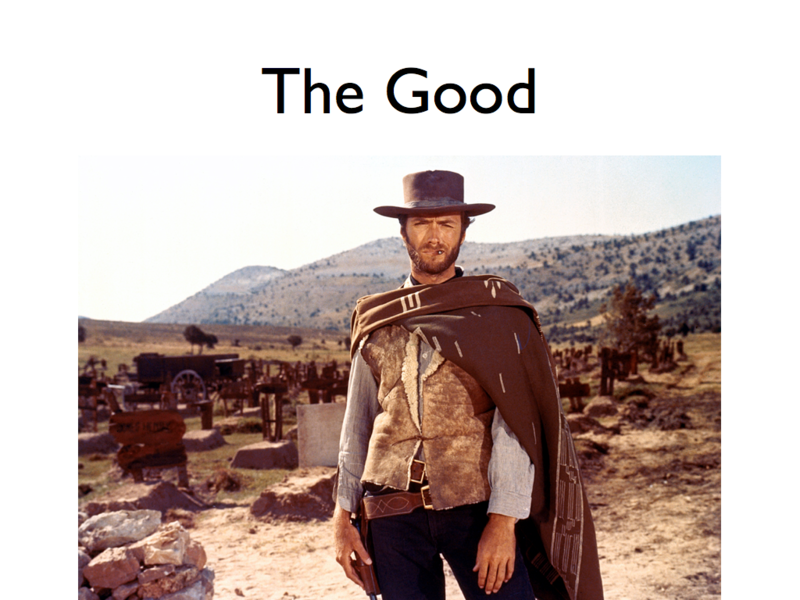 That means I’m the Bad. 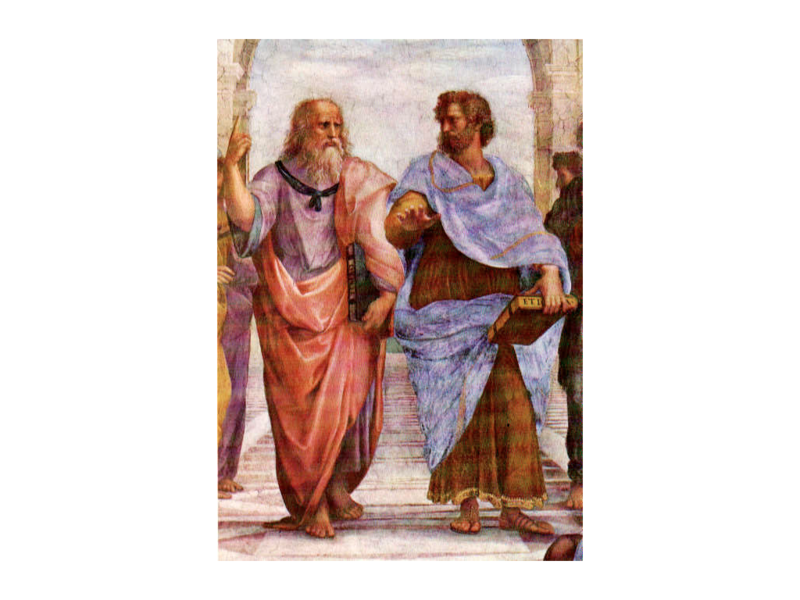 Here I propose that Crock is Plato and I am Aristotle, and that while we need to “keep it real”, we must also hew to high ideals. 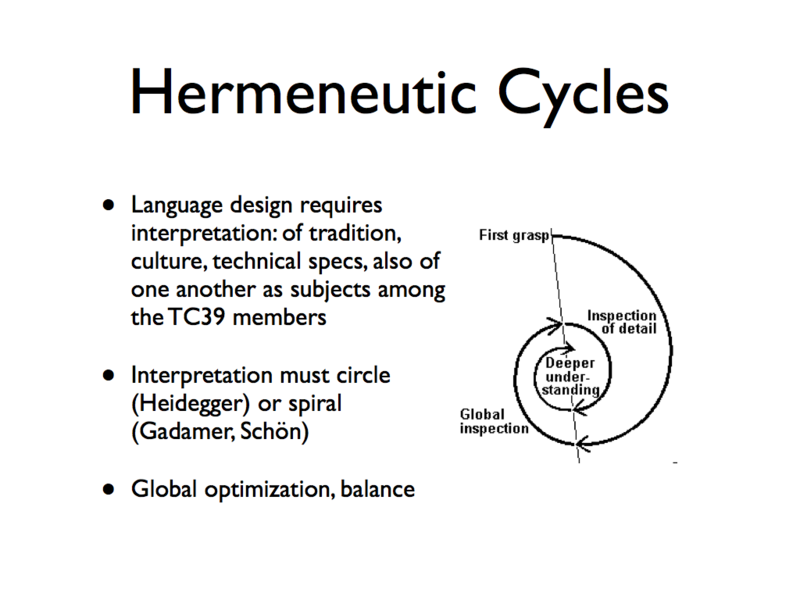 The ideas I cite here, represented by the Hermenuetic Circle, definitely apply to TC39’s understanding of the text of ECMA-262, as well as various canonical texts in Computer Science. 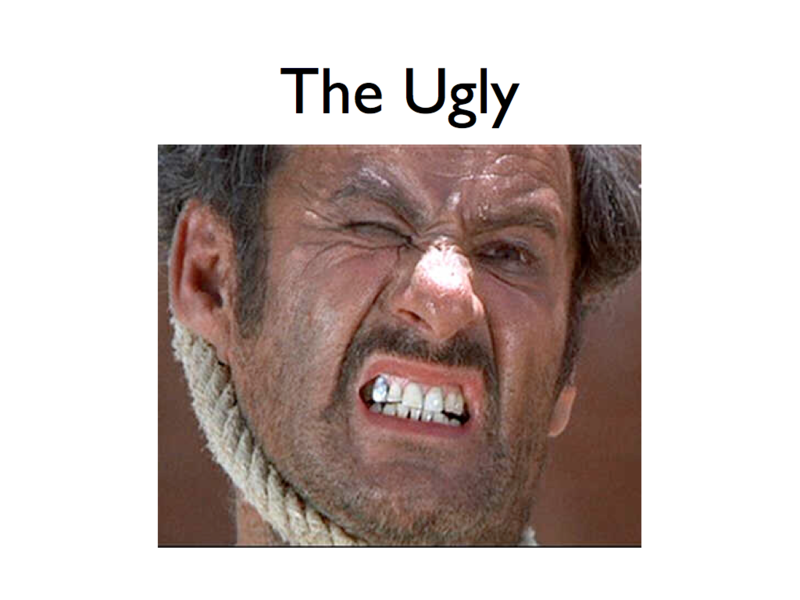 The committee works best when it spirals in on a solid design, avoiding local and premature optimizations and pessimizations. 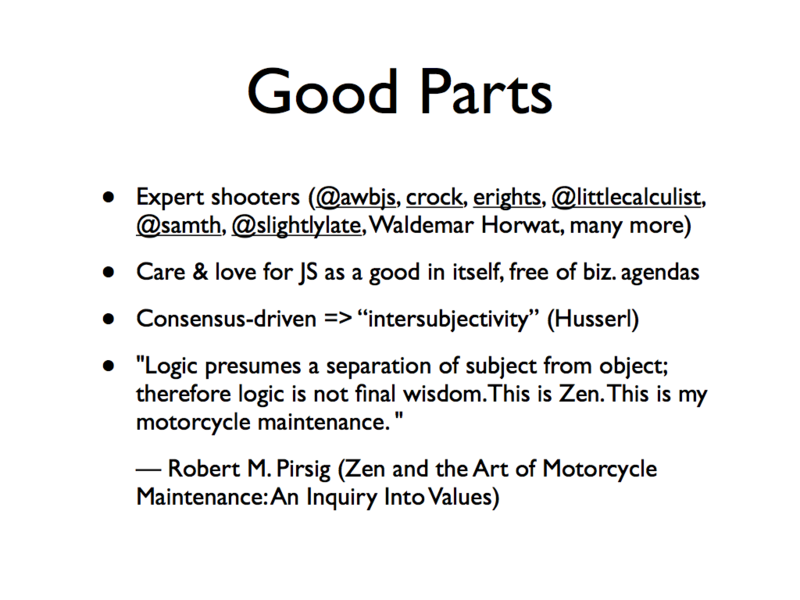 Every one of these “Bad Parts” has been on parade in TC39 in recent years, including 2011. I’ve been tempted by the second one, horse-trading, so I’m not innocent (no one is). The “Scenario Solving” one is particularly subtle in that the Scenario proposed to be solved is quite often a very real developer problem. But a complex, ad-hoc solution to it, especially when rushed, too often is unsound. 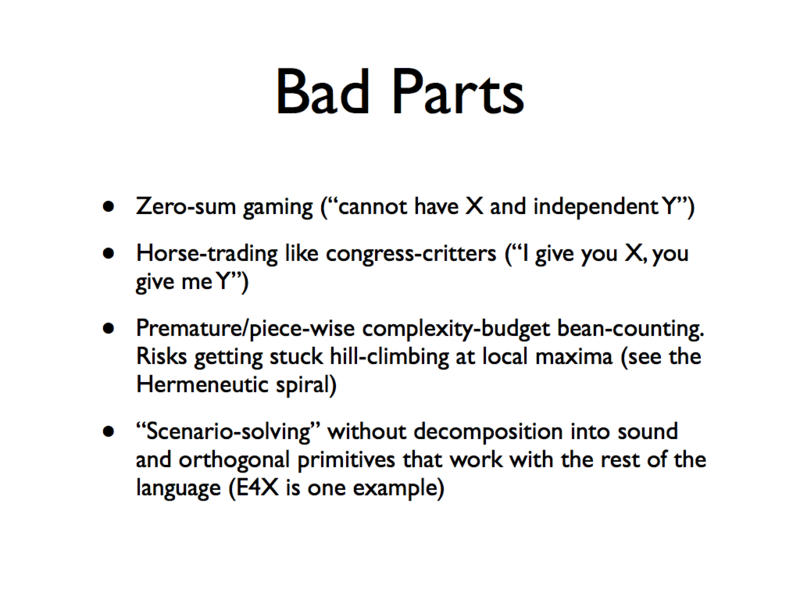 We would do better to take the Scheme lesson to heart, and develop sound and valid orthogonal primitives. 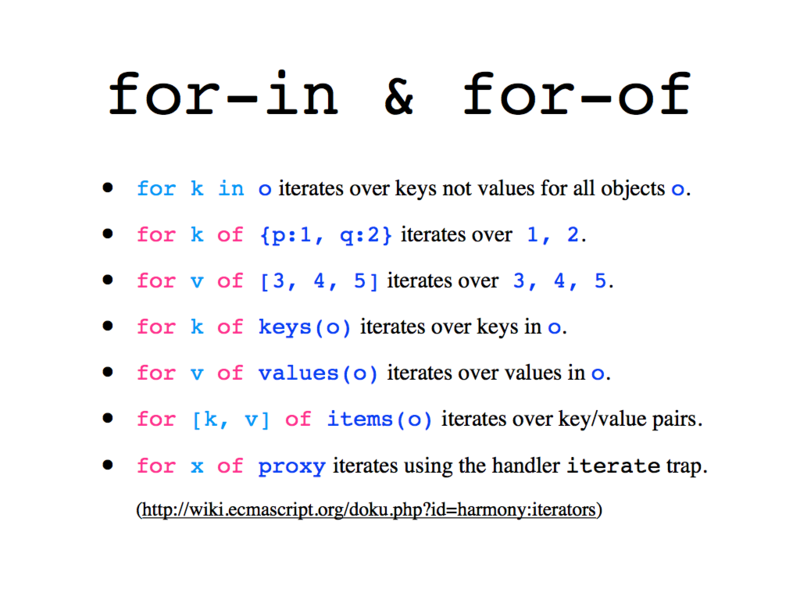 Higher-level libraries built on them can be standardized post hoc. 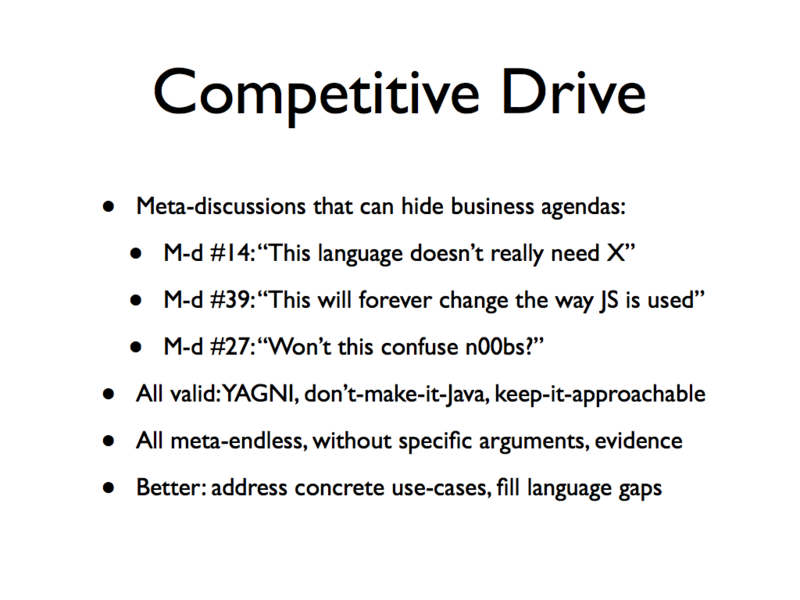 These meta-discussions are sometimes quite funny in light of the vendor whose representative is making them. 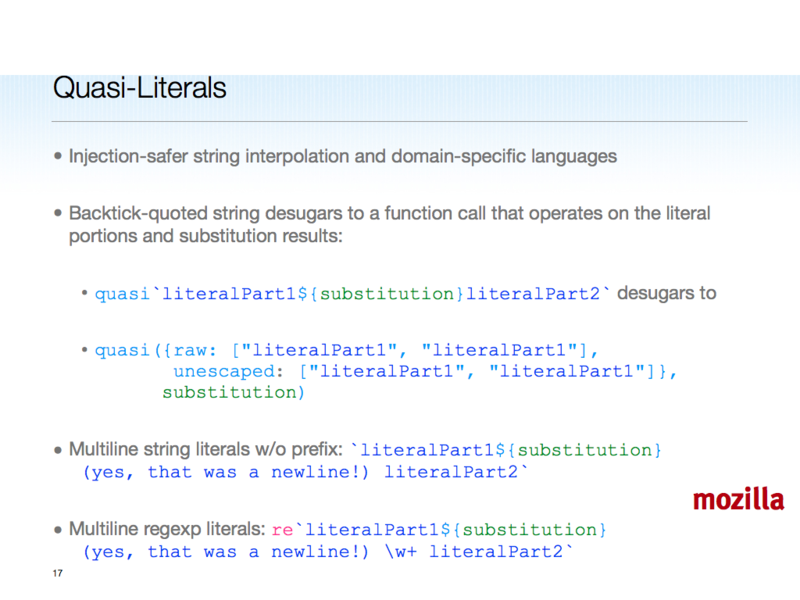 I note that C# can now be written to look like JS. Why shouldn’t any particular extension to C# be at least considered (not rubber-stamped of course) for JS standardization? 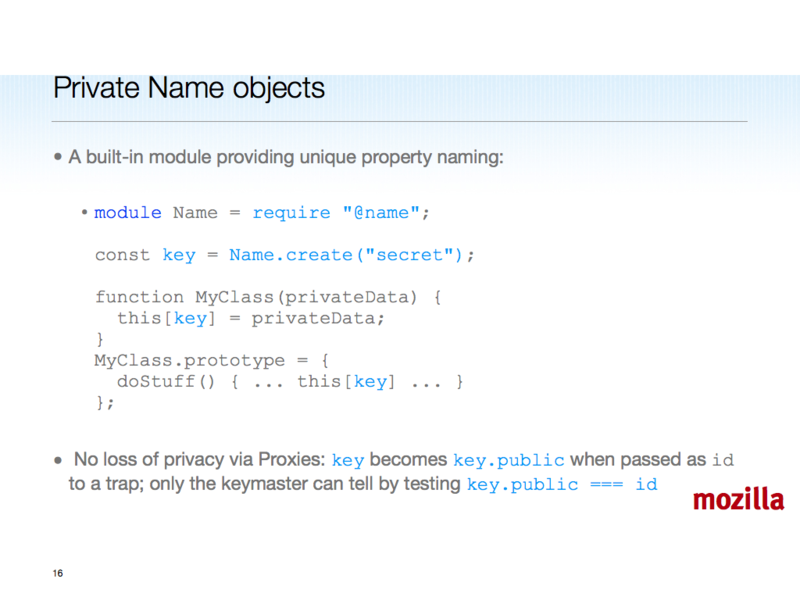 These slides provide a glimpse of ES6, still under construction but already full of good stuff. 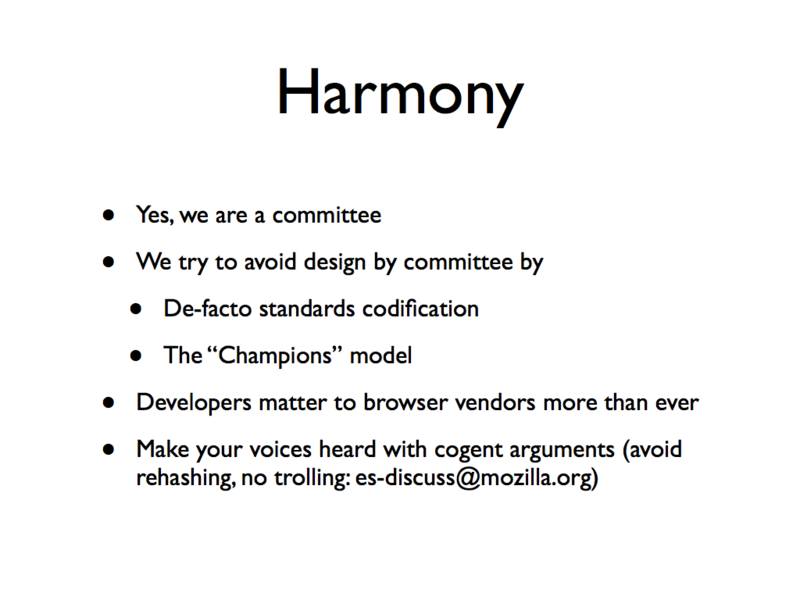 The Harmony Goals are not just lofty abstractions. 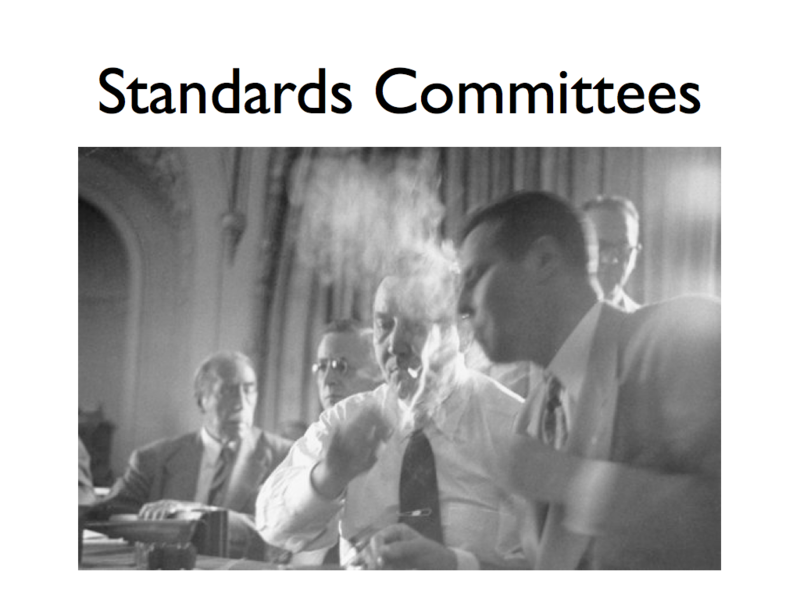 I hope the way JS is developed and standardized, as much in the open as the existing standards process permits, and with developer feedback via es-discuss, twitter, and the various conference talks, helps. If not, we may as well wait for some single-source solution to descend from the mountain. And then hold our breaths waiting for Firefox, IE and Safari to implement! 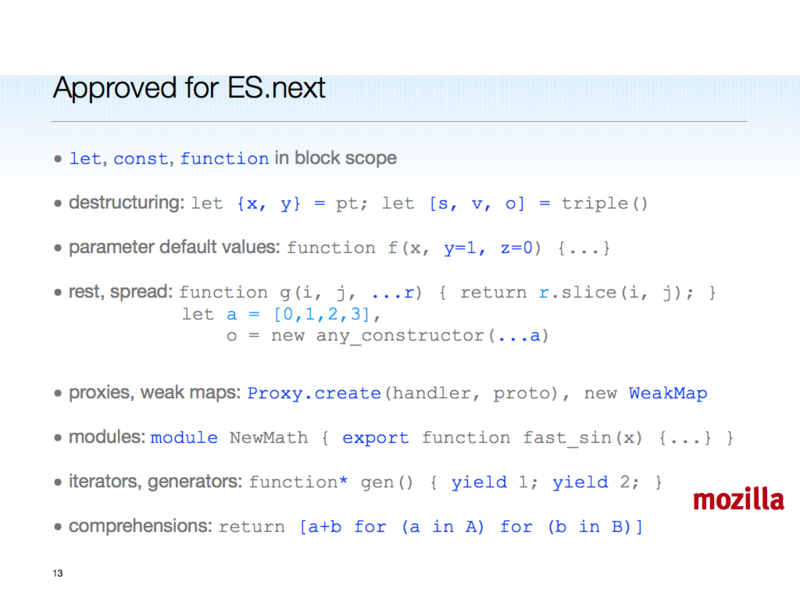 While paren-free in all likelihood won’t make ES6, the for-of loop will, and comprehensions and generator expressions in ES6 will be paren-free. Yay!